We provide ‘Lifewide Education’ to create a new generation of leaders and professionals with a caring and responsible attitude to society. Occasional classes related to counseling, motivating, time management, positive thinking, behavioral change, etc from professionals and experts of the respective sector. Golden Peak High School (GPHS) is an English medium residential school established in 1991 AD with the sole iron determination of imparting pragmatic education to its students. It is situated at Saraswatinagar, Chabhil, Kathmandu. At GPHS, the students are facilitated and instructed by highly professional experienced teaching faculty with motivation and inspiration. We provide ‘Lifewide Education’ to create a new generation of leaders and professionals with a caring and responsible attitude to society. We impart knowledge and skills based on latest curriculum through modern teaching-learning approaches to establish high academic standards which will give an access to prepare our students global citizens. We are dedicated to make our student competitive by providing them the access to latest technology with proper tools and also by incorporating effective and efficient methods for teaching. Dear Parents/Guardians, students, community members and all well wishers, Greetings and a very warm welcome to Golden Peak High School (GPHS). It is not a hidden fact that practical education with a quality based teaching and learning environment is a demand of all parents as well as students in twenty first century. "I am very happy that my child is progressing day by day and the way the school respects parents' feedback is outstanding." "Its been 10 years that my child is studying in GPHS and I am glad that I enrolled him here." 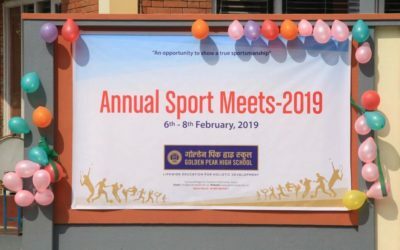 "I am happy that GPHS has helped my child learn the depth in the learning process and its implementation for better life"
Golden Peak High School has wrapped up three days “Sports Meet-2019” on 8 Feb 2019 by distributing medals to the position holder competitors in different games and sports. Cultural and…. 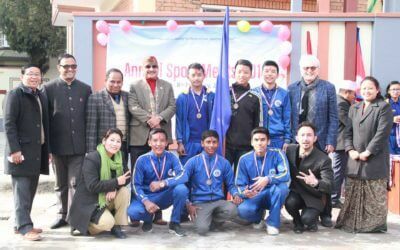 Golden Peak High School has wrapped up three days “Sports Meet-2019” on 8 Feb 2019 by distributing medals to the position holder competitors in different games and sports. Cultural and drill dances performed by the students of different levels were the captivating for the audience. Prof. Peter, educationist and trainer from Switzerland, accompanied the organizers. 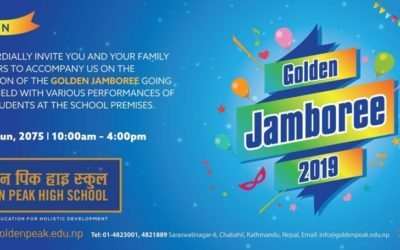 Valley-wide Golden Peak Grand Teej Dance Competition at GPHS On the occasion of Teej festival, a grand Valley-wide Inter-school Golden…. Valley-wide Golden Peak Grand Teej Dance Competition at GPHS On the occasion of Teej festival, a grand Valley-wide Inter-school Golden Peak Teej Dance Competition was held at Golden Peak School. 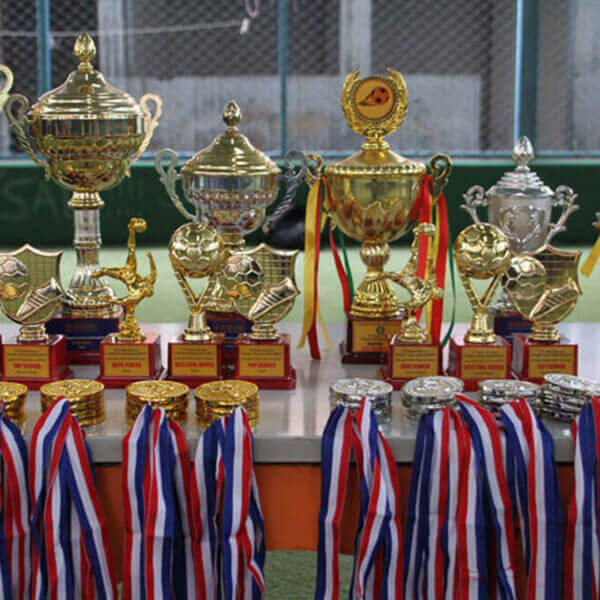 Among 29 participant schools, Bright Angel, AIA and Srijana Gyansagar bagged trophies for first, second and third positions. Here are the latest news and event updates from GPHS. Please tune in to get updated.